As Easter comes to a close I meditate on the statement made by this morning's speaker. 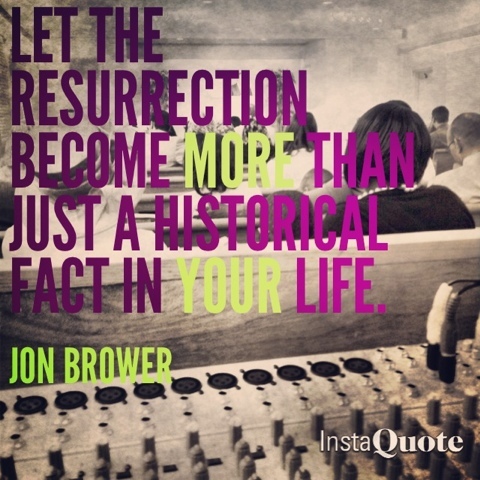 Brower urged us to let the resurrection take such a place in our hearts that is transforms our daily behaviors. That's why Easter is symbolized with bunny rabbits and hatchlings--new life. We are a new creation, lets go out and live that way.